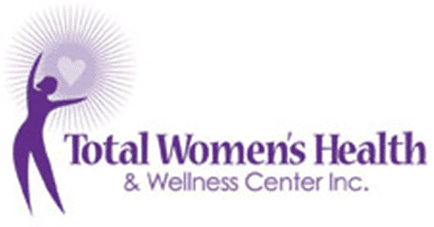 The gynecologists at Total Women’s Health & Wellness Center use their expertise, vast range of experience, and understanding of women’s specific health needs to provide optimal wellness. We recognize that women’s healthcare is a very personal experience and that choosing the right provider is one of the most important decisions you can make. Most prescription or refills are electronically prescribed and will be available at your pharmacy within 12-48 hours of your request. What Is Included in my Women’s Wellness Exam? The annual health assessment (“annual examination”) is a fundamental part of medical care and is valuable in promoting prevention practices, recognizing risk factors for disease, identifying medical problems, and establishing the clinician-patient relationship. The interval for specific individual services and the scope of services provided may vary depending on the patient age, sexual activity and health concerns. An “Annual” GYN Exam usually includes a Breast Exam, Pelvic Exam, Collection of Pap Smear (if needed), Birth Control refills, HRT Refills, Mammogram or DEXA Scan orders. Any services unrelated to preventative health will/may result in a copay, co-insurance or deductible due at the time of service. Most insurance company allow 1 Annual/Women’s Wellness Exam every 12 months. This visit is typically covered at 100% if it’s not relating to an illness. Please check with your insurance plan for confirmed coverage. All new patient should arrive with their “Completed New Patient” paperwork, current photo ID, Active Insurance Card, Form of Payment as well as Medication and Conditions list. This will help us serve you more expeditiously. All existing patient should bring their current insurance plan card, form of payment and any updated medications and conditions since their last visit. How & when should I expect to receive my lab results? We supply all lab results via our patient portal. Please be sure to sign up for the portal via the link on our website or one of our dedicated staff members can supply you with portal information. The length of time on getting lab results back varies. All labs are reviewed by your physician before they are published to the portal. Abnormal results may require an additional office visit to discuss and formulate a plan of action. How can I find out what my financial responsibility is for my visit? Our office policy is to collect all copays, co-insurance/deductibles at the time of visit. Copays and deductibles are usually written on the back of your insurance card or can be found on the insurance company website. If you have additional questions, we request that you contact your insurance company or employers Human Resource Department to find out what type of plan you have and what your specific benefits are. Most of our patients find that they are leaving the office within one to two hours of their appointment time, however more time may be needed if additional service and test are provided.